Ogden on Politics: Governor Pence's Veto of Bill Highlights Insatiable Thirst of Local Government for More Tax Dollars to Spend on "Economic Development"
Governor Pence's Veto of Bill Highlights Insatiable Thirst of Local Government for More Tax Dollars to Spend on "Economic Development"
notify employers in Jackson and Pulaski counties to stop withholding the taxes from paychecks. Those counties have “health cash balances,” Pence said which allow them to weather the refunds and reduced revenues. The situation epitomizes a growing problem with Hoosiers' steadily increasing tax burden. Rather than state officials wanting to raise taxes, it now is usually local government officials clamoring for more taxes and fees. Instead of going to basic government services, much of that increased tax revenue gets spent on "economic development," i.e. is money transferred from taxpayers to private developers who are often big contributors to the very local politicians who are authorizing the projects. Further, there is no revolving door for local officials so many local elected and appointed officials go from their public positions to cushy, well-paid jobs with the very private companies that have received contracts from local government. The trend of local governments wanting higher and more tax dollars to spend on economic development projects crosses party lines. Three of the biggest spenders of tax dollars in that regard are Indianapolis Mayor Greg Ballard, Carmel Mayor Jim Brainard and Westfield Mayor Andy Cook, all Republicans. 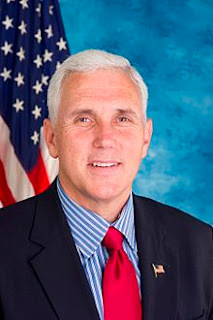 Thankfully though Governor Mike Pence stood by his conservative principles and vetoed the bill. It is a shame that it is unlikely that the Indiana General Assembly will sustain that veto. Yup, the operation of the jail is economic development. Too bad he didn't veto the $100 million loan/gift to the Hulman family. 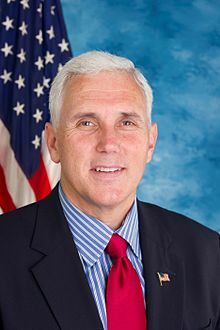 Pence is a wonderful welfare advocate, corporate welfare that is. Yeah, Goodneighborsam, I'm sure they don't spend any money on economic development in those counties. You do realize, don't you, that money is fungible? Plus, the Governor says they already have plenty of tax dollars to cover current expenses....they just want more tax dollars to play with in those counties. But the Gutweins already own every business in the county and still had to export a kid down here to run Health & Hospital because they fanout of businesses to put them all in. OPM addicts do what they do; never mind doing what might be right by the people. Republicans are owned by the Democrat party & the failed, statist ideology of big government.